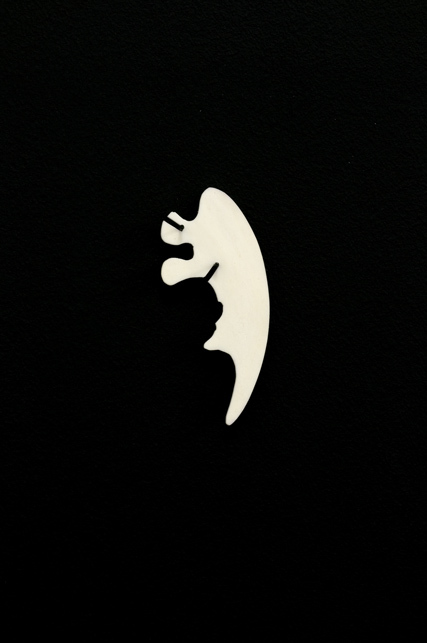 This puzzle piece was inspired from a rare bone from which, Benjamin Waterhouse, around 1850 created a Megalosaurus sculpture at a scale of one. Anatomically incorrect (the dinosaur was presented as a quadruped when it actually was a biped, ancestor of the Tyrannosaurus) the sculpture was shown amongst others during the universal exposition of Crystal Palace. Multiple realised for the exhibition "Cargo Culte" at la Vitrine, Paris (curators : Axelle and Tiphanie Blanc).